I come from a family of five sisters. My eldest sister, Linda, sent me some old photos of when we were very young. I don’t remember any of those moments. It’s funny how you forget your youth. Maybe it’s just dementia setting in. Old photos are such a fantastic treasure. I love going through the old photos at my parents house – which are kept in this really big crocheted bag. Don't know why they're in the bag as it's not the most optimal place to store photos. Thanks for sharing! Love the Santa photo and I'm guessing you were too young for your holy communion, so I'm guessing flower girl? Crocheted bag – that is a first. 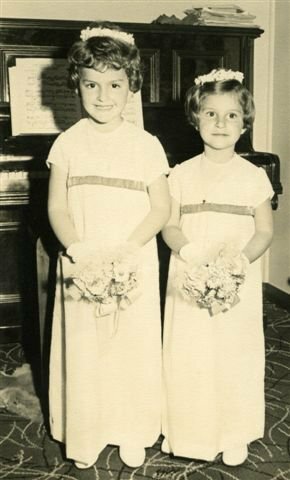 My sister and I were flowers girls at my parents friends wedding. We were so naughty that Aunty Ena and Uncle Sergio took our hands walking out the Church. Wonderful pictures and so nice to look back at them and I am sure it brings a few smiles to your face . I know I have two sisters and really love looking at old photos of us as kids. Great photos. It is nice to look at the old photos and remember some of our childhood antics. What sweet little girls you were. Lucky you having all those sisters. I wanted a sister so much when I was a child. Awww…so very cute! and a blast from the past with "McDowells". 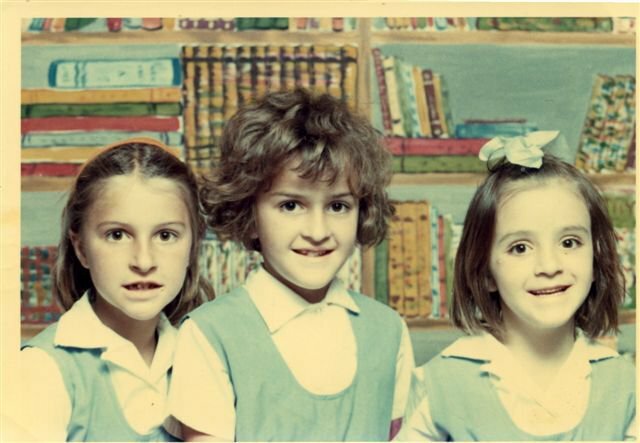 I have the exact same school photo – same uniform, same background except with my sister and brother. 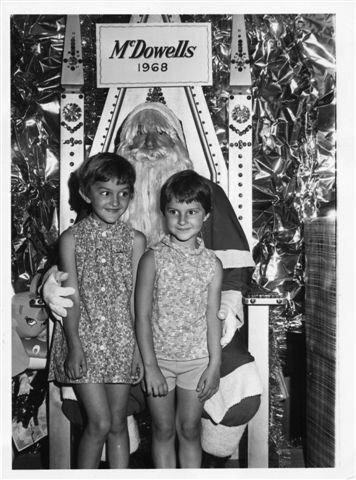 I also have Santa photo in 1968 at McDowells in Carinbah.